The European release of the Hitman Collection is DRM-free, already patched to the latest version and has cheats enabled by default. The draw distance on some levels is extremely short, making it difficult to see enemies. Install Widescreen fix by nemesis2000. Edit Draw_Distance value as desired. Download Hitman Unlocker and extract to <path-to-game>. 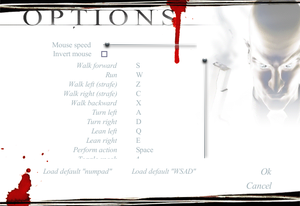 Start the game, go to options and configure keys to increase and decrease draw distance. Only works on the Steam version. Can interfere with some DirectSound3D restoration methods due to using a dummy dsound.dll to patch the game. Hitman.sav contains all player profiles. The option may be grayed out or has no effect on modern systems. Choose an OpenGL renderer and see Forcing anti-aliasing. Enabled by default with no option to turn it off. Frame rate is capped at 180 FPS. HUD does not scale and may be unreadably small at ultra-high resolutions. Extract h47.7z files to <path-to-game> (password: h47). Edit h47.ini to set the resolution. Draw distance is also adjustable. Download this file. Also download DgVoodoo too. Extract both files to <path-to-game> (DgVoodoo only needs the files inside the ms folder and the config utility). Doesn't suffer from small HUD issues of the other fixes. Locate line Resolution 800x600 and change it to desired resolution. Make sure to cap your frame rate to prevent extreme camera shake. Lower vertical FOV in widescreen. Mouse buttons cannot be assigned to actions. Cutscene speech only. In-game speech not subtitled. 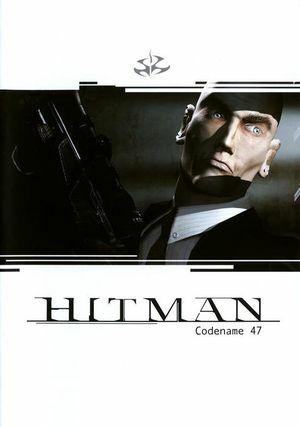 See Helix Mod: Hitman: Codename 47. If running windowed mode, the game will place the window across screens (in some cases, half off-screen). Add StartUpperPos 0,0 to the file. In the Steam game library, right click the game. Click Verify integrity of game cache button. Steam will consider your *.ini files "corrupt" if you've changed the resolution (presumably since doing so modifies the *.ini files). Accordingly, users who have managed to get Hitman working and changed the resolution will always get a single file reported as corrupt and about 250 bytes downloaded (i.e. this is to be expected). 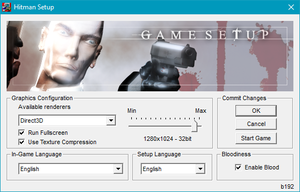 Find<path-to-game>\Hitman.exe, right-click on the icon and choose the Properties option. Tick the box that says "Run this program in compatibility mode for:"
In the box underneath the tick, choose "Windows XP (Service Pack 2)"
Click OK (if you get an administrator prompt after clicking OK, click the "Yes" button). After performing this fix, launching the game may result in "Unable to find Steam" or "Unable to Verify Steam" errors. If encountered, quit Steam, then restart Steam as Administrator (right click the Steam icon or .exe and choose "Run as Administrator"). If the error is still encountered, or the game cannot be run as Administrator, the "Failed to find Steam" section may fix the error. The default Direct3D render may have trouble launching on modern systems. On the next screen click "Change advanced power settings"; a window should open containing a list of the individual components affected by power management. Scroll down to "Processor power management" and expand everything so that both "Minimum processor state" and "Maximum processor state" are visible. By default under the "Balanced" plan these should be set at 5% and 100% respectively. This will prevent your computer from automatically slowing down your processor's clock-rate in times of low demand. Older software may be explicitly relying on the processor having a constant clock speed for in-game timing. 1.2 Recommended output method for use with post processing injectors, such as ENB. a "Rebirth" mod is available here. 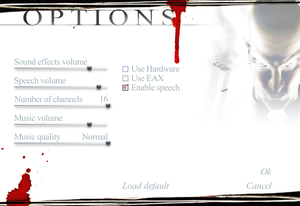 A hardware compatibility table for the game can be found at <path-to-game>. ↑ 3.0 3.1 File/folder structure within this directory reflects the path(s) listed for Windows and/or Steam game data (use Wine regedit to access Windows registry paths). Games with Steam Cloud support may store data in ~/.steam/steam/userdata/<user-id>/6900/ in addition to or instead of this directory. The app ID (6900) may differ in some cases. Treat backslashes as forward slashes. See the glossary page for details.